BENGALURU (March 7): Most emerging Asian currencies edged higher on Tuesday, as the dollar's rally lost steam after the market priced in the high likelihood of a U.S. Federal Reserve interest rate hike next week. With a hike already factored in, the dollar needed fresh catalysts to strengthen, analysts said. The South Korean won regained some ground, after losing more than 2% over the past week. The Taiwan dollar rose 0.3%, helped by a rise in domestic equities. China's yuan fell slightly after its central bank set Tuesday's official mid-point at its lowest since Jan 17. The central bank is due to announce its forex reserves for February on Tuesday and the data is likely to show an eighth consecutive monthly fall, according to a Reuters poll. 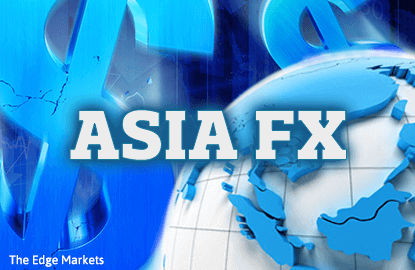 The dollar, which rose last week as market expectations for a Fed rate hike in March, has slipped against some emerging Asian currencies this week. "The dollar has strengthened, but there was no follow-through momentum. Right now, the market is in a waiting mode", said Sim Moh Siong, FX strategist at Bank of Singapore. The South Korean won was up around 0.9% on the day. Analysts said the won's rise compensated for falls it suffered on Monday, after North Korea fired four ballistic missiles into the sea off Japan's northwest coast, stirring worries about geopolitical risks. Worries about geopolitical tensions related to North Korea typically doesn't last very long, said Tan Teck Leng, FX strategist for UBS Wealth Management in Singapore. Separately, official data showed on Tuesday that offshore investors in February boosted their holdings of South Korean bonds by the biggest amount since 2009, lured by a firmer won. The bond holdings by foreign investors rose by a net 5.2 trillion won (US$4.50 billion) in February, according to data from South Korea's Financial Supervisory Service (FSS).